Though many people want to quit, the timeline for quitting smoking can cause some of them anxiety and fear. Will I go through withdrawal? Will I be successful? How hard is it to quit? What are the real benefits of quitting? Many people say “knowledge is power” and if that’s the case, the best thing you can do is learn about the timeline: what you’ll experience and how soon it will benefit you to quit smoking. After only eight hours, the remaining nicotine level in the body is around 6.75% of the previous level. This can begin to trigger some of the physical side effects such as restlessness and irritability. Twelve hours without a cigarette and carbon monoxide levels in the blood are close to “normal.” Cravings are starting to become more severe around this time, too. Many former smokers claim this as the first of many hurdles, but an all-important one for getting one’s mindset straight. Twenty four hours after the last cigarette, some of the negative effects, like anxiety, have reached their peak. It isn’t over, but this is as bad as it gets for those and it’s all downhill from here. 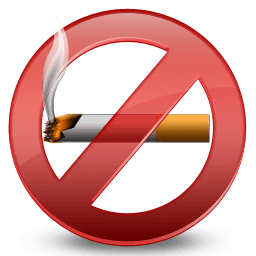 Two full days after quitting, nerve endings that were damaged have begun to regrow and senses like smell and taste are starting to return to nonsmoker levels. Seventy-two hours without a cigarette and your body will be completely free of nicotine. If you’ve battled this far, this is your opponent’s last stand from a physical viewpoint. Effects of physical withdrawal are at their peak. After the first three days, cravings will continue, based mostly on habits formed from cues such as getting in a vehicle, taking a break from work or school or getting ready for bed. These are called “cue-induced cravings” and will diminish with time. Recovery will continue at an astounding rate, but only a minor relapse can reset the clock completely, depending on other health factors. Overall circulation improves after just 2 weeks, and lung function begins to increase. For one to nine months following the final cigarette, shortness of breath and incidences of coughing will slowly go away. One year after quitting smoking, the increased risk of coronary heart disease is halved. Five years and the increased risk of getting certain types of cancer – other than lung cancer – are halved; stroke risk has also fallen to that of a non-smoker. Ten years later, the risk of contracting fatal lung cancer is half of a person who still smokes. 15 years later, coronary heart disease risk is the same as someone who never lit up in the first place.